This week I’ve done a detailed breakdown of a jazz lick that I played on a Bb blues progression in last week’s Bass Practice Diary. 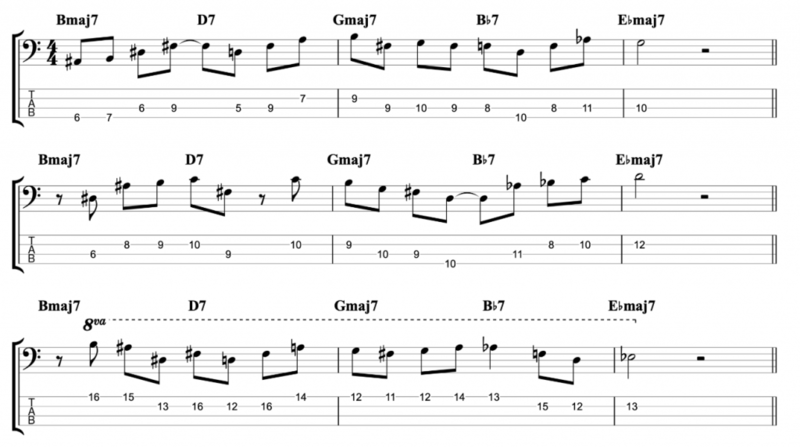 The lick combines the diminished scale with the blues scale which creates a jazz blues sound. 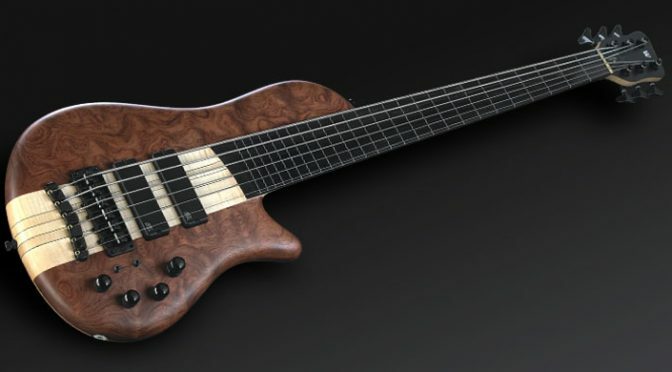 I’ve played the lick on my Warwick Thumb SC six string fretless bass. But I’ve transposed the lick down an octave so it can be comfortably played on a four string bass and I’ve written the TAB for four string bass in standard tuning. The concept of the blues solo that I played last week was combining the diminished scale and the blues scale. The reason why I’ve highlighted this very short lick is because it combines both the blues scale sound and the diminished sound in one very short lick. The Diminished scale provides a jazz sound while the blues scale keeps the lick rooted in the blues. If you want to know more of the theory then check out last week’s video, but for now I’ll just take you through the lick. The lick is played on a Bb7 chord but it starts on a G. The lick actually starts before beat one. The way I played it last week, you can think of the G as functioning as the major 3rd of the Eb7 chord in the preceding bar. However you could also play the same note on a Bb7 chord and think of it as a 13th. From that note it goes up using the diminished scale. The second note Ab lands on beat one and it’s a chord tone, the dominant 7th. If you followed the sequence of the scale then the next note would be the root note Bb, but I’ve chosen to skip the root and go to the next note in the scale which is the b9, B natural (Cb). Then it’s D and F. Two chord tones, major 3rd and 5th. And both feature in the diminished scale. It’s worth mentioning at this point, that it’s the b9 that’s creating the diminished sound. All of the other notes are chord tones. They exist in the diminished scale, but without the b9, they would just sound like an arpeggio. It’s amazing what the presence of just one outside note can do to change the sound of a harmonic phrase. For more of the theory about inside and outside notes, check out these two posts. The Blues has its own rules when it comes to harmony. 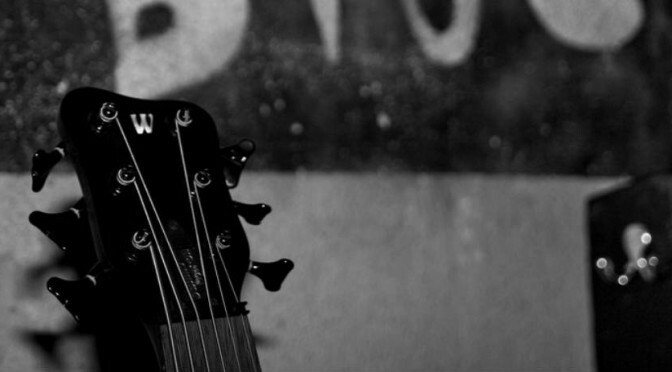 The blues scale is essentially a minor pentatonic scale with one extra note. An outside note, the b5. If you want to define the sound of the blues, then a good place to start is by playing the minor 3rd from the blues scale on a dominant 7th chord containing a major 3rd. You could argue that anytime you mix minor and major 3rds on dominant chords you are playing a blues sound. 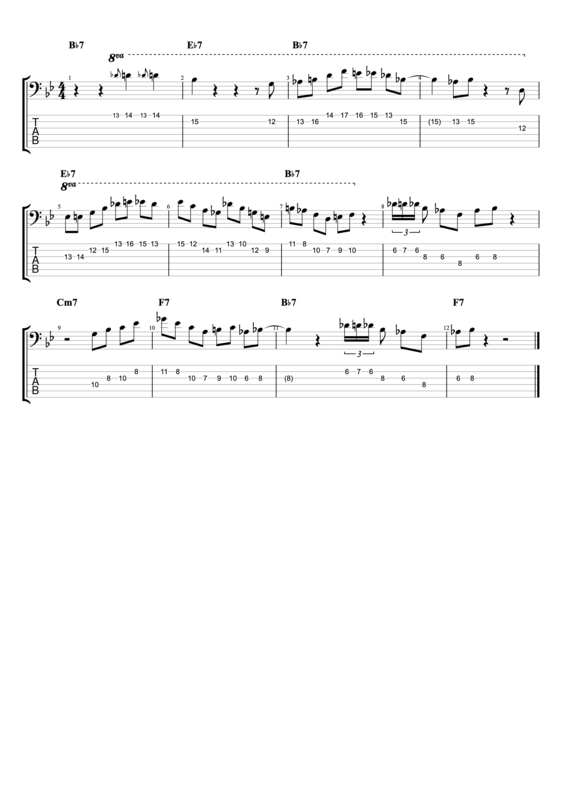 Going back to my lick, I’ve just played a major third and then the 5th of the Bb7 chord, F. The note F exists in the Bb blues scale, the Bb diminished scale and the Bb7 chord. So it’s a very safe note. I’m using it here to transition from playing the diminished scale into playing the blues scale. From the F, the lick simply goes down the blues scale until it gets to the root note Bb. It includes the minor third Db, so the riff includes both major 3rd, D and minor 3rd Db. Which, as I’ve mentioned, creates a blues sound. The diminished scale, and especially the b9 from the diminished scale, create a jazz sound. While the presence of both major and minor 3rds creates a blues sound. And both of these sounds are combined in one very short lick, just nine notes altogether. Which I think is quite cool. I played several licks with a similar idea in last week’s video and I’ve transcribed one full 12-bar chorus. I think that the lick that I’ve chosen is the shortest and most succinct. Which is why I chose this one. I hope you’ve found this helpful!